Raw star thistle honey is crystallized. 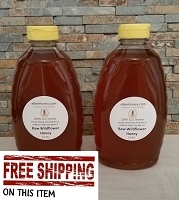 Raw Star Thistle honey in a 6 oz. jar. 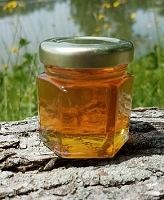 I enjoyed this honey, find it's light color to be a tad sweeter than other honeys, but that could be my imagination. Plan to purchase again. It has a smooth and thick consistency. It reminds me of clover but better. Great Job EbeeHoney! TASTES LIKE A SPARKLING DRINK! 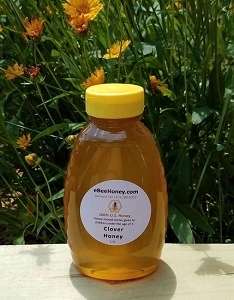 Smooth, creamy..light and refreshing ...NEVER came to mind when considering honey, until NOW! This stuff is delicious!!!! I got the small size but love love love it! 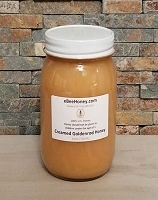 I ordered this to try my hand at making creamed honey. So easy! It's already well on its way and it's only been a couple of days. Very good flavor - although every single honey. I've had so far has been excellent. A terrific honey. 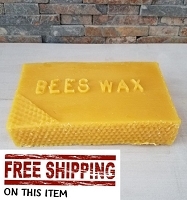 I ordered several from eBeeHoney and this was my favorite of the bunch. I'd rate it up in my top favorite 3 honey's I've ever had. 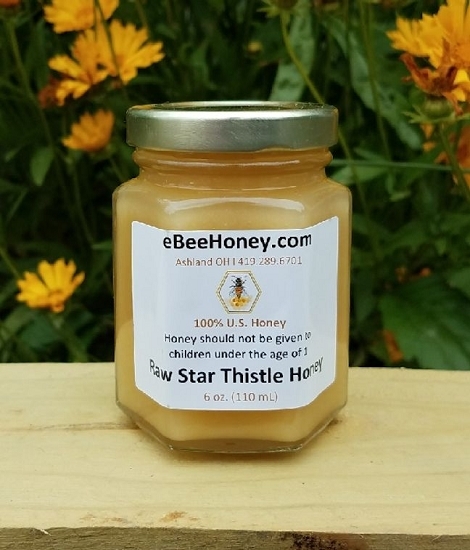 The taste of Raw Star Thistle honey can best be described as a strong traditional honey flavor, what your taste buds "remember" when thoughts of honey enter your mind. I rreally like this honey and plan on ordering the larger size next time, as I order the smallest size at first. Very nice flavor with a floral scent. This was a new flavor for me. It is not a very strong flavor (like the bamboo or buckwheat) but it is still very tasty. 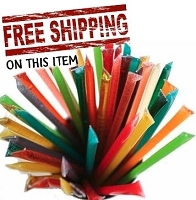 I plan on ordering more of this flavor when I start running low. At first when I tried this honey I was like that was strange. But then the more I ate it the more I really loved its unique taste that it might be the kind I buy a bigger bottle next time. Very good honey!